Santiago is the picturesque capital city of Chile. With over 6 million people, it is the largest city in the country. Santiago is the prime opportunity to explore vineyards and glorious hills! The city boasts incredible attractions, including the Municipal Theatre of Santiago, The Statue of the Virgin Mary, Parque Forestal and the amusement park Fantasilandia. Cheap flights to Santiago are now available for a limited period of time, so prepare to be enchanted by this wonderful city! Santiago is the home of Arturo Merino Benitez Airport (SCL), located a short 18-minute drive from the city centre. Santiago is blessed with ethereal landscapes. Overwhelming sights of the larger than life Andes Mountains sits perfectly, in the city’s background. Take in these sights from viewpoints such as Giratorio. Embrace the local vibrancy through passionate salsa dancing. Places such as Havana Salsa and Ilé Habana offer classes and have live shows for your entertainment. 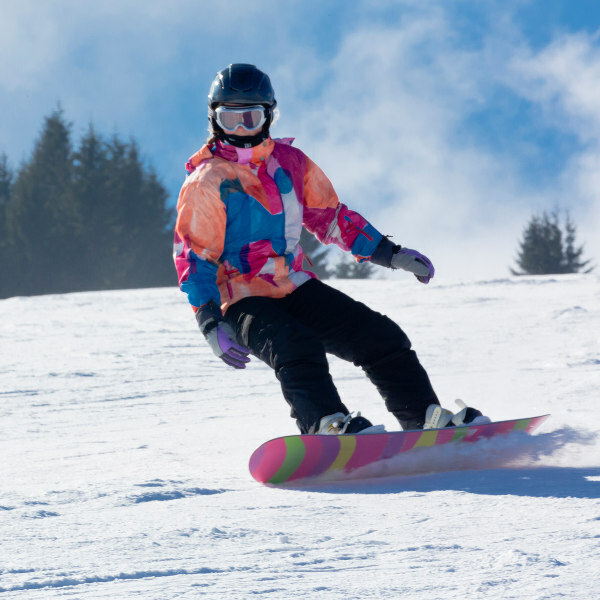 Located just an hour away from a variety of ski resorts, tourists are spoiled for choice when it comes to lunging into velvet snow. Santiago experiences a moderate climate with mild temperatures year-round. For the wine enthusiasts, autumn (March to May) is the perfect time to visit and enjoy the thrilling grape harvest festivals in Santiago. Spring (September to November) and autumn (March to May) affords pleasant sunshine and fewer crowds in the city. Summer (December to February) sees an increase in temperatures, crowds and hotel prices. Tourists can expect temperatures that reach 38 degrees Celsius during the day and a dramatic -1 degrees Celsius at night. 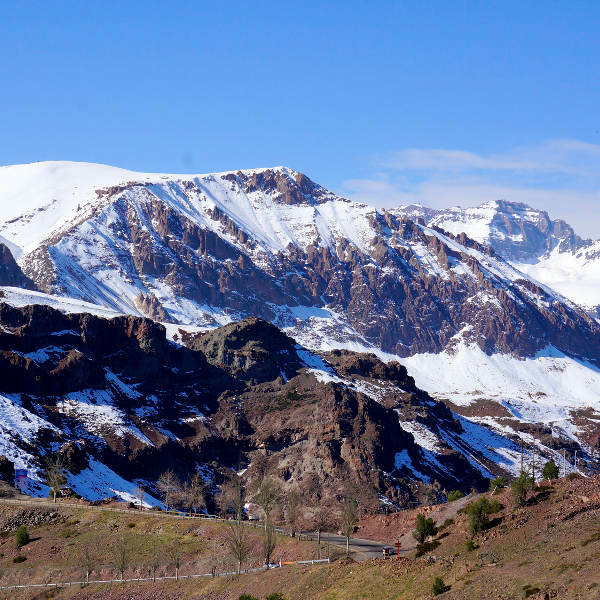 Winter (May to September) in Santiago beckons to skiers, and anyone who wishes to marvel at the Andes covered by a comfortable blanket of white snow. The best time to visit the ski resorts are June to August. Below the majestic view of the Andes, lies a city with a 1000 tales. Santiago blossoms with incredible imagery, which scintillates all who frequent its bustling streets. A beautiful amalgamation of culture ignites the unique atmosphere of the city. Santiago is a wonderful place for strolling- encounter distinct neighbourhoods, each with its own style and tone. Street art occupies many neighbourhoods; tourists are encouraged to do the Santiago Walking Tour or the Santiago Bike and Street Art Tour. Each tour offers in depth conversations with local artists. Connect with the heart of the city through its art! The nightlife of this quaint city is best lived at sidewalk eateries, beer halls and cafes. The Bellavista District is home to many buzzing bars, restaurants and nightclubs. It is interesting to see this old city reinvent itself through its bold and eccentric urban landscape. Compare several airlines, and book your cheap flights to Santiago online at Travelstart! Travellers going to Santiago do not require any special vaccinations, but you should be up to date on routine shots. These vaccines include measles-mumps-rubella (MMR) vaccine, diphtheria-tetanus-pertussis vaccine, varicella (chickenpox) vaccine, polio vaccine, and yearly flu shot. Most travellers are advised to get vaccines for hepatitis A and typhoid. • Tap water is considered safe to drink but has a high mineral content that can lead to stomach upsets; bottled water is the safer option. • The Chilean recluse spider can be found throughout the country. It is not aggressive but its venom is very dangerous; its bite can lead to legions, renal failure and even death. If bitten, put ice on the bite and get immediate medical attention. Santiago is a safe city, by South American standards. Tourists are still encouraged to be vigilant of pick-pocketing and other petty crimes. • Exercise extreme caution in the popular tourist areas of Plaza de Armas and Bellavista, at night. • Avoid parks at night. • Always keep your bag in eye-sight, when travelling on public transport. • Tourists should leave their passport, major credit cards and large amounts of cash safely locked in their luggage, back at the hotel or hostel. Do not leave your valuables in a safe.